Silicone and nylon are two inventions of the 20th century. They are both synthetic creations and neither was initially invented for use in the kitchen. Over the years, cooks have hijacked both polymers for their own uses. While the substances are similar, key differences between the two exist. On average, nylon is the cheaper material. A set of nylon tools costs roughly half as much as a similar set of silicone tools. Some upscale silicone tools can be about three times as much. This is because silicone is more expensive to produce, especially if it is free of fillers. Nylon is used in many disposable products such as food containers or the straps on garbage bags. Nylon and silicone are far more stick resistant than many other materials, such as metal. Some specially designed silicone pads are completely nonstick. Most silicone utensils, especially if they have fillers, are just stick resistant. Nylon utensils are similarly stick resistant. Both make good spatulas and spoons. Silicone, though, is the only one durable enough as actual cookware and is nonstick or stick resistant. Nylon containers should not be used for actual cooking. 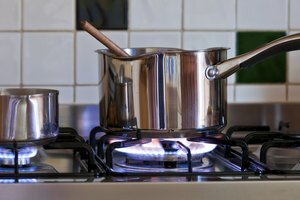 Both silicone and nylon utensils will not damage metal pots or pans. They are preferable to metal utensils, which scratch off the coating on pans and skillets. Scrubs and cleaning brushes are often made of nylon. 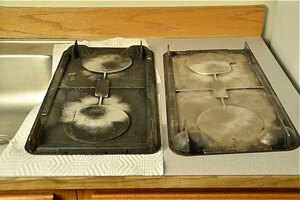 The material is very effective in cleaning cookware without damaging. It also resists bacteria better compared to your average sponge. 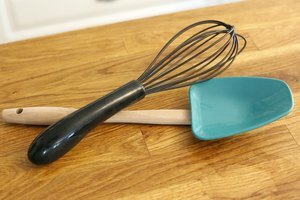 When cooking, though, silicone utensils are preferable because they are much more durable than nylon. They can withstand higher temperatures before melting. Both silicone and nylon take years to break down, but, because of its durability, silicone is the better choice for the environment. 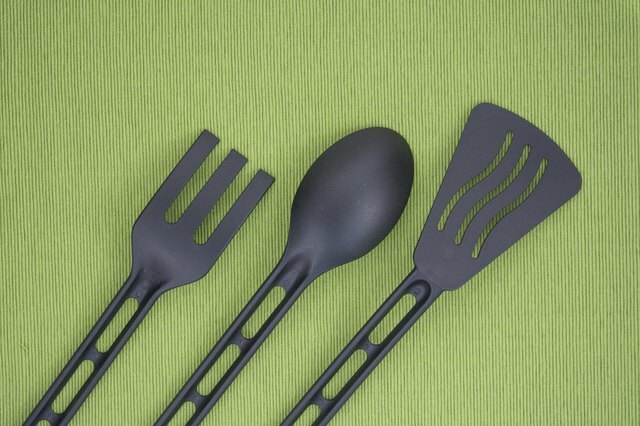 Investing in a quality set of silicone utensils you'll use for several years is better than burning through several cheap sets of nylon ones. Nylon is cheap and easily replaced, but utensils and food containers made from it will just sit in a landfill once thrown away. Based in Chicago, Barry Eitel has been writing about the city and the arts since 2005. He has written for several websites, including Chicago Theater Blog and PlayShakespeare. Eitel has a Bachelor of Arts in philosophy from Loyola University Chicago.